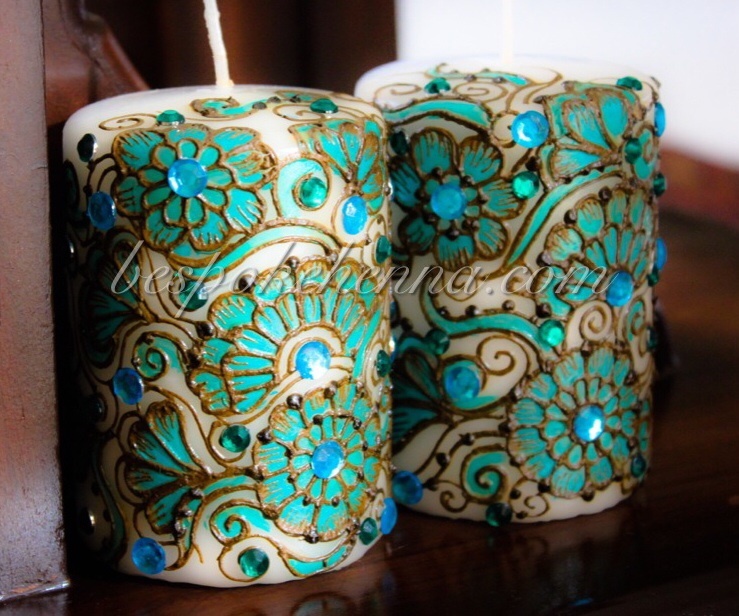 Black pillar candle painted with Gold acrylic paints and embellished with Emerald and lilac rhinestones. 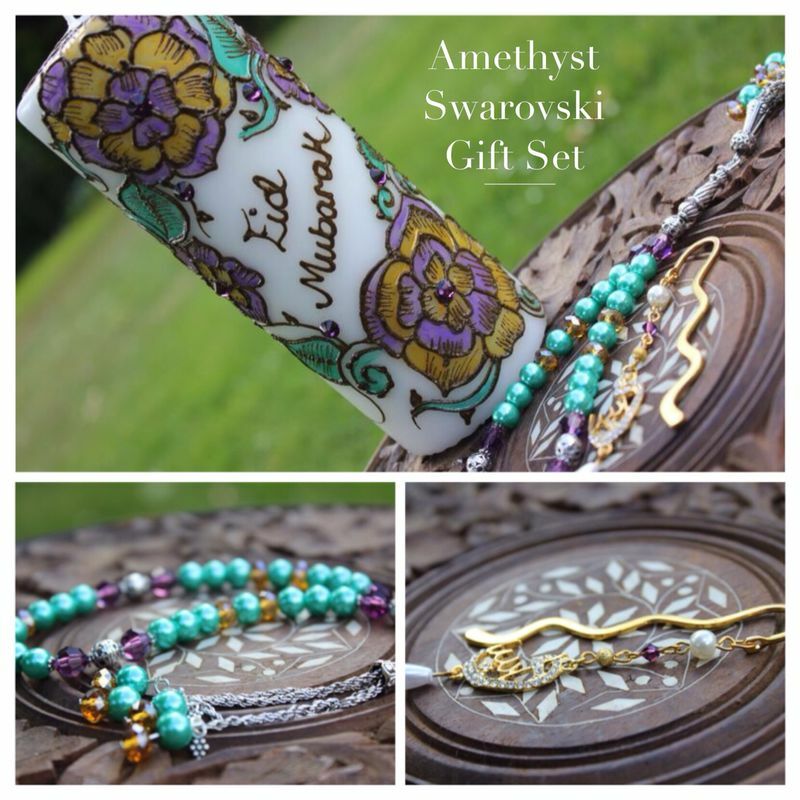 Featuring a tall pillar candle,, a 33-beaded matching tasbeeh by personalizedtasbihs4u, and a matching Allah bookmark by themodestcollection. 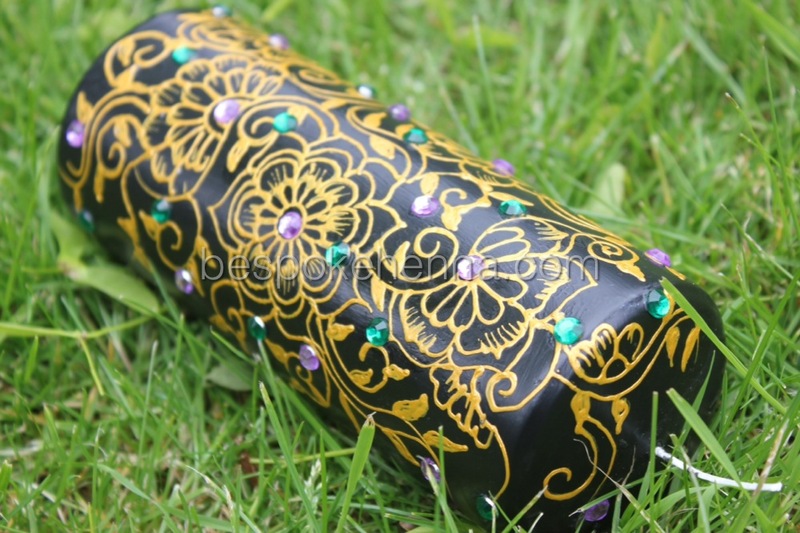 All items include swarovski embellishments. 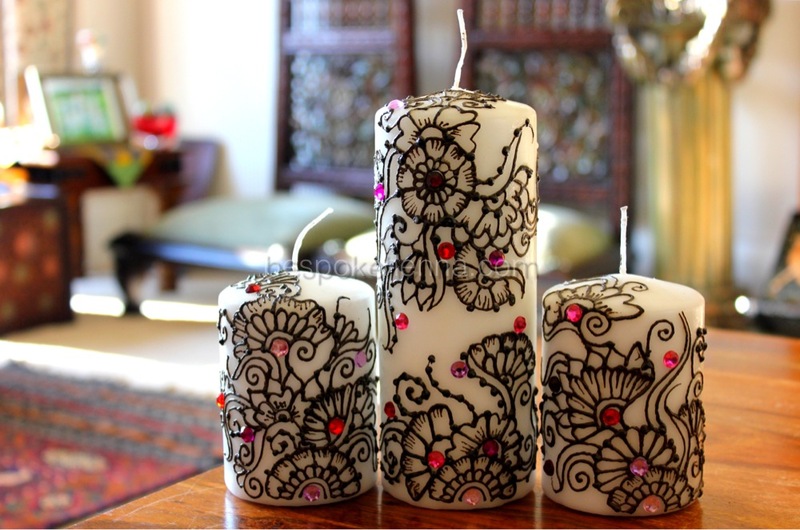 One large candle and two medium candles presented on a decorated henna plate. 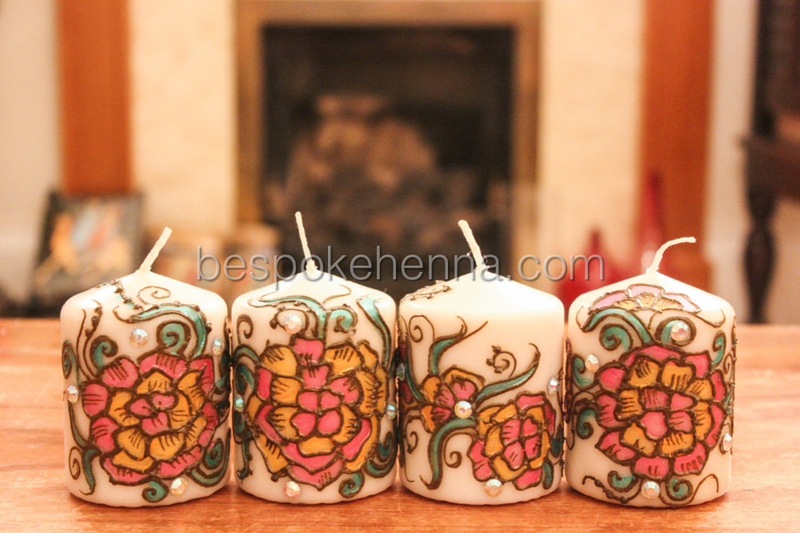 Available in a variety of colours. 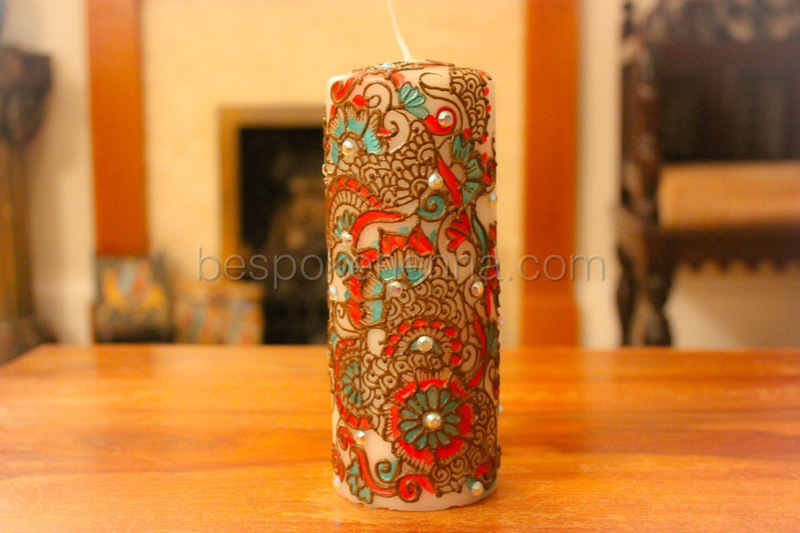 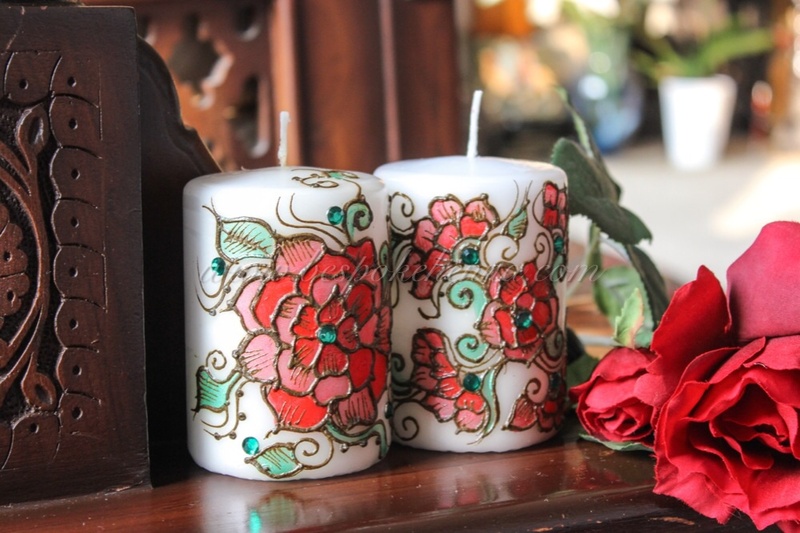 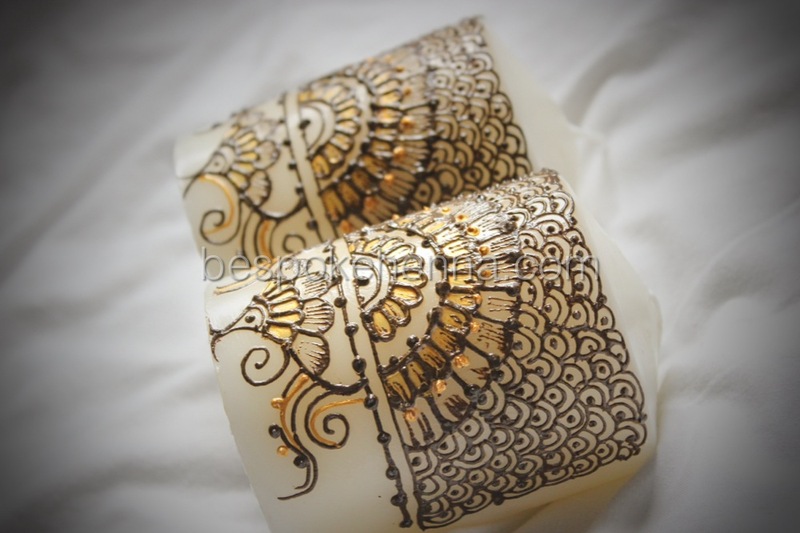 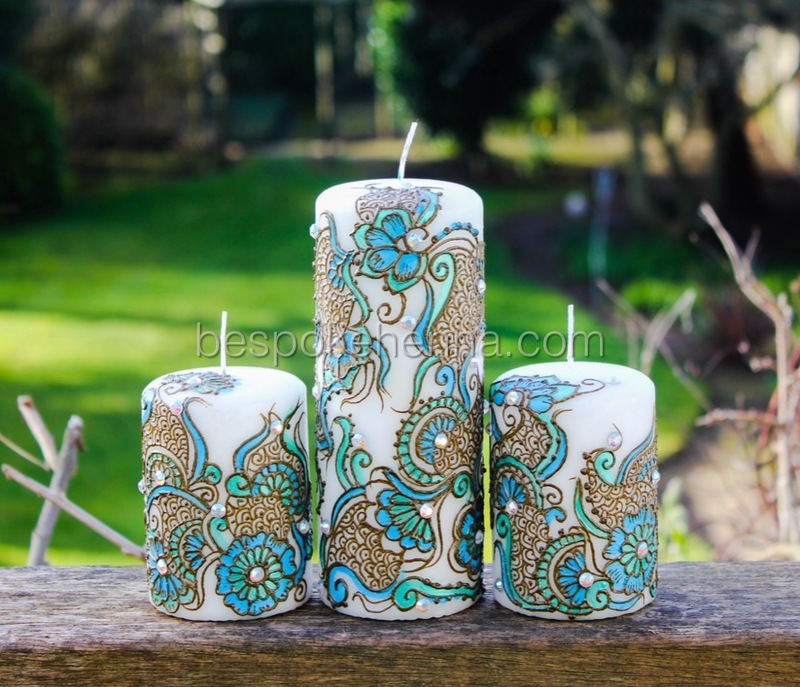 Set of two matching medium candles painted with natural henna and gold acrylic paints. 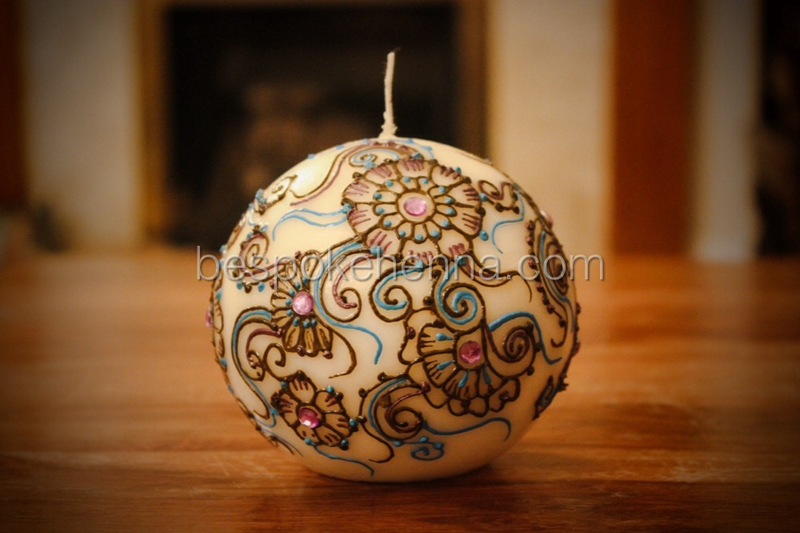 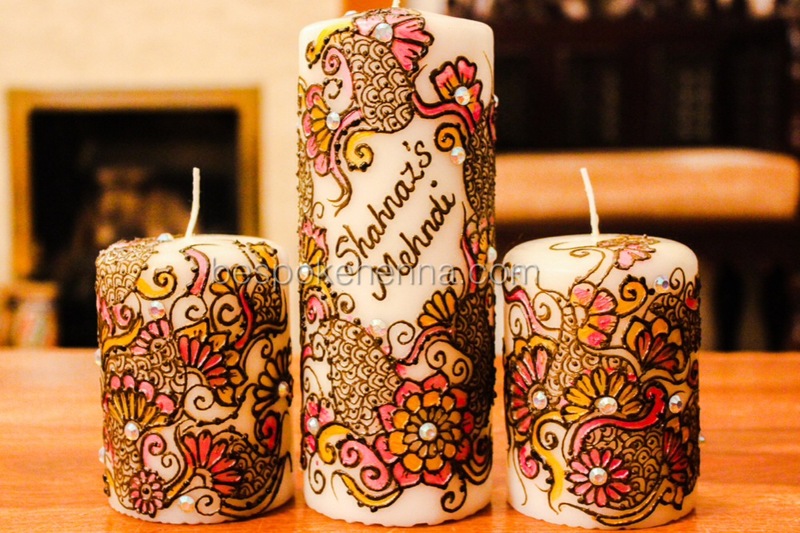 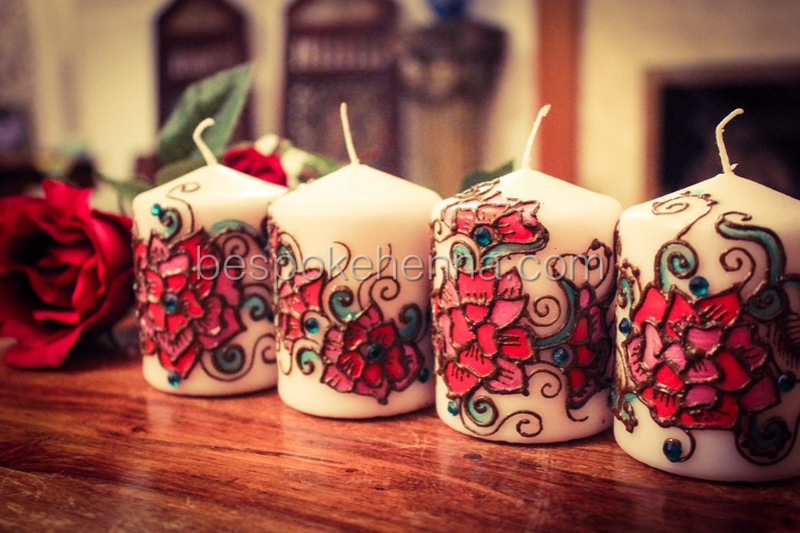 Set of 3 candles, hand painted with natural henna and pink and gold acrylics. 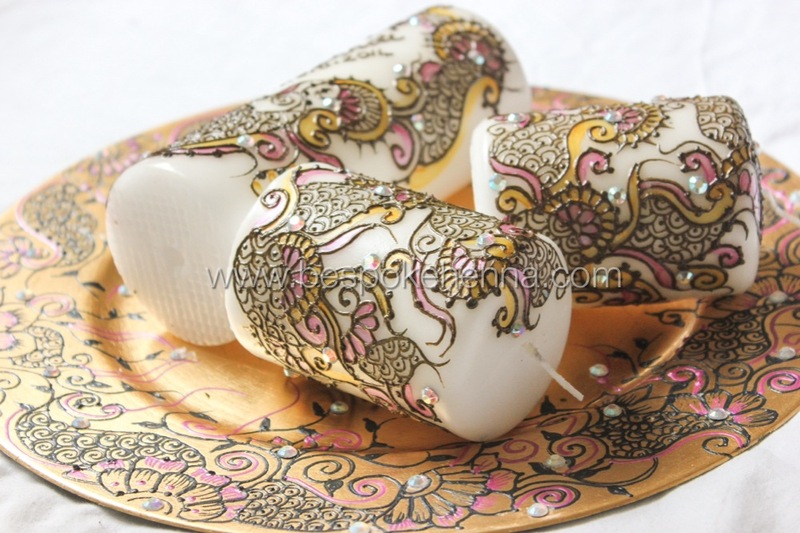 Finished with crystal embellishments. 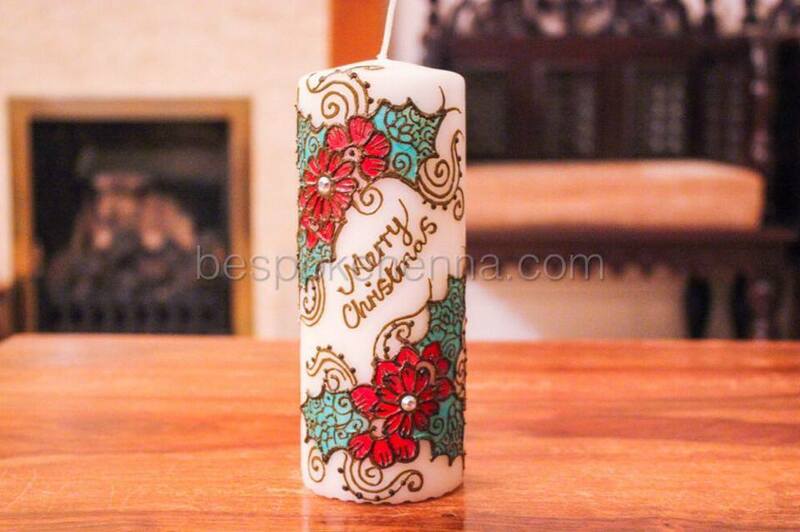 Large personalised wax candle hand painted with natural henna and green and red acrylics. 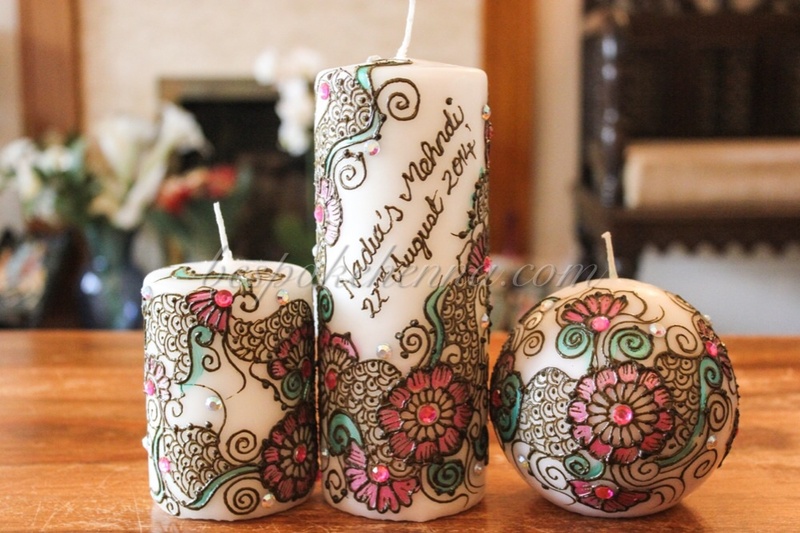 Finished with crystal embellishments.